Not too long ago, I wrote a summary of the DNA/Book of Mormon issue which I hope was understandable to even those who know very little about DNA. My own experience with reading the DNA articles is that they are difficult to understand, so I tried to break down in common, understandable terms, with as little jargon as possible. One of the things I pointed out there is that people have ancestors whose DNA is undetectable. The notorious Greg Smith has recently brought a case in point to my attention. Now let’s think about this for just a minute. If an ancestor from probably around the early-to-mid-18th century (maybe back into the late-17th century, depending on how much older this lady is than me) can be undetectable by DNA, what about an ancestor from 600 BC? Just something to think about, I suppose. So true. 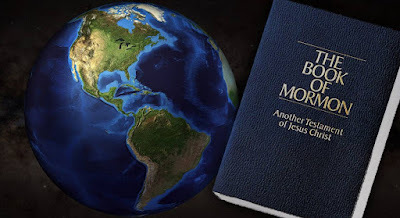 And we don't know everything there is to know about DNA so it is not a reliable witness of the authenticity or the falseness of the Book of Mormon. So, I have a question. In my college philosophy class, we learned about Occam's razor. Basically (correct me if I am wrong), it says that out of all the explanations, the one with the least assumptions is probably the correct one. I sometimes find myself applying this razor to anti-mormon theories about the origins of the Book of Mormon. It seems like it takes fewer assumptions to simply take Joseph Smith's account at face value than to have to add the assumptions that he had access to a library, or that Oliver Cowdrey or Sidney Rigdon helped him fabricate the book and story of the gold plates, or that he was a genius con-man that was planning on swindling people from 15 years old. But then again, some would argue that it requires assumptions to believe in God or angels. Do you think that Occam's razor is applicable to this situation? And if so, what theories should it be applied to?